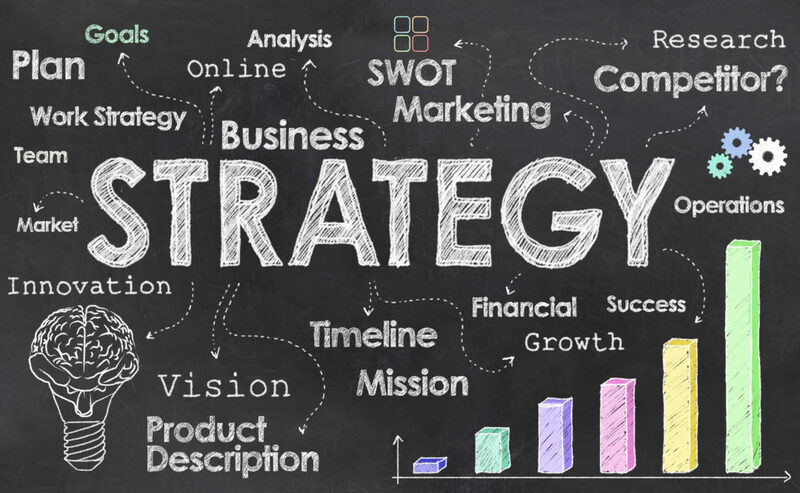 The word “strategy” in business, is as critical as a defibrillator, for a patients in cardiac arrest. Strategy makes or breaks a company. It is one word that concerns C-level executives the most, and one of the major parameters by which their salaries and stock options are evaluated. Overall, it governs accomplishment of a company’s vision. But how would you define business strategy? Does every in management know what is really means? The short answer is – not really. Many think they know what it means. Read again. They “think” they know what it means. It is a process to achieve business objectives / vision: This indicates that strategy has a sequence of events. These include: Planning, implementation and execution. Referring to the golden question above, if a client answered one of these events, then it is an indication that they genuinely understand strategy. It is a long-term perspective: There is no “strategy” to run daily operations. Instead, it is about what the company will be doing in 3 to 10 or more years into the future, depending on the industry. In fact, the phrase “short-term strategy” is an oxymoron. A) Planning – In this stage, John brainstorms (plans) with his team on investments cost, operational cost, staffing requirement, raw material procurement, equipment purchase, governmental regulations, food safety procedures, insurance, compliance policy, etc. All these discussions are confined to a room and happen regularly. These are documented and periodically reviewed. A clear road map is set in place, on how efficiently the pizza joint would function, and increase sales over the next 3 years. The planning stage, depending on the business objective, can range from few weeks to months. Small disclaimer before I proceed: In the dictionary, the words implementation and execution may have the same meaning. However, from a business strategy perspective, these stages have their unique process. This is marked by regular meetings to track progress and ongoing ground work. Think of the implementation phase as the juncture that marks the beginning of real-time operations towards envisioned objectives. All such cases are people related. Even a lack of employee motivation or morale can affect the business. A successful business ensures that employees are in sync with values and business objectives. This is why a lot of modern companies emphasize the significance of company-culture. It is to ensure that executions are in sync from top management to all the way down in hierarchy. Leadership plays an important role in this stage because employees must be competent in their duties, and at the same time, remain disciplined to company’s vision. It is the leadership responsibility to ensure that over the course of company’s progress, constant assessments in place to ensure people are competent and disciplined. Those lacking competence will require training & development, while those lacking discipline will require mentoring in accountability. Once the management realizes that fulfilling objectives are on track, they shift the company’s focus to newer business objectives for successive long terms. Strategy is always evolving. It is a continuous process that trickles down to various departments within a company: R&D, Sales, Marketing, Procurement, IT, etc, each with its own cycle of strategy evolution.